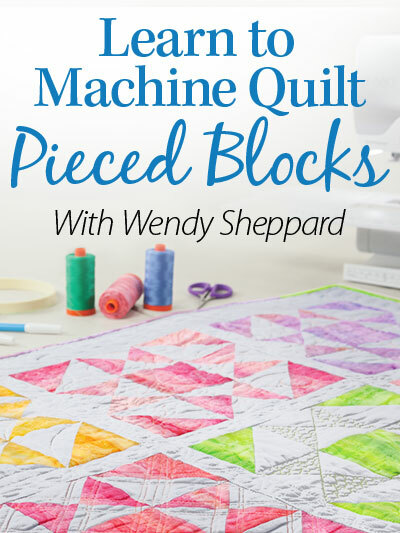 This entry was posted in Freebies, Ideas, Tutorials, Quilting, Thread Talk and tagged Domestic Machine Quilting Tips, Free-motion quilting, Free-motion quilting tips, Quilter, Wendy Sheppard. Bookmark the permalink. 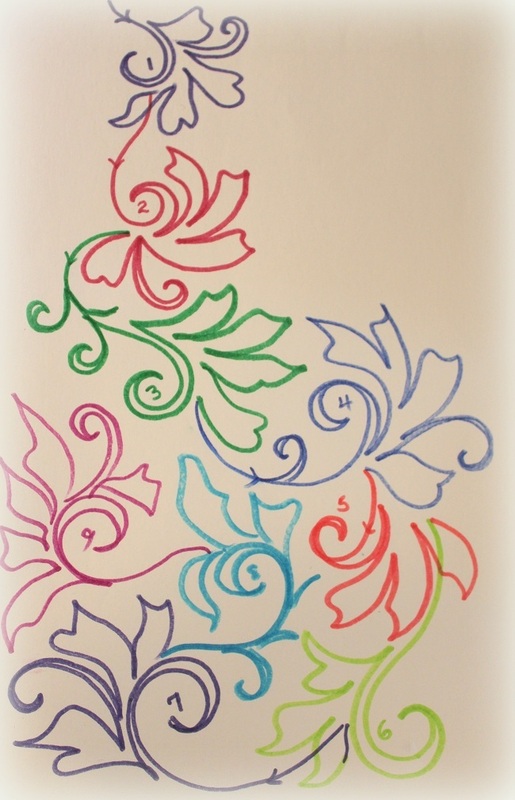 Thanks so much for adding another beautiful motif to my sketch book!!!!! I can see how this would be easily used to evenly do an E2E (for those who prefer a “panto” look!)………hugs……. Love the pattern, and the explanation as to how to progress with a repeat. Thanks. Wow…it is beautiful! 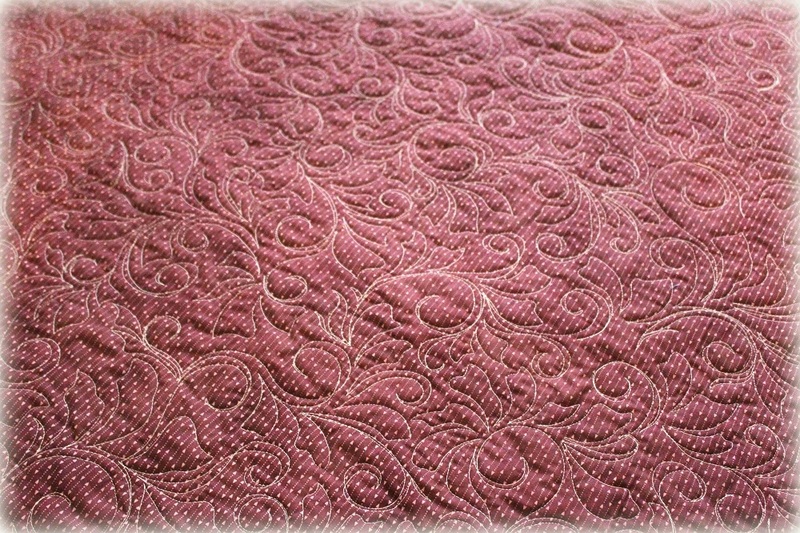 I do not do any free motion quilting anymore. Yep, I pretty much just gave up and will leave it to those of you who know what you are doing. I think your joke was cute. 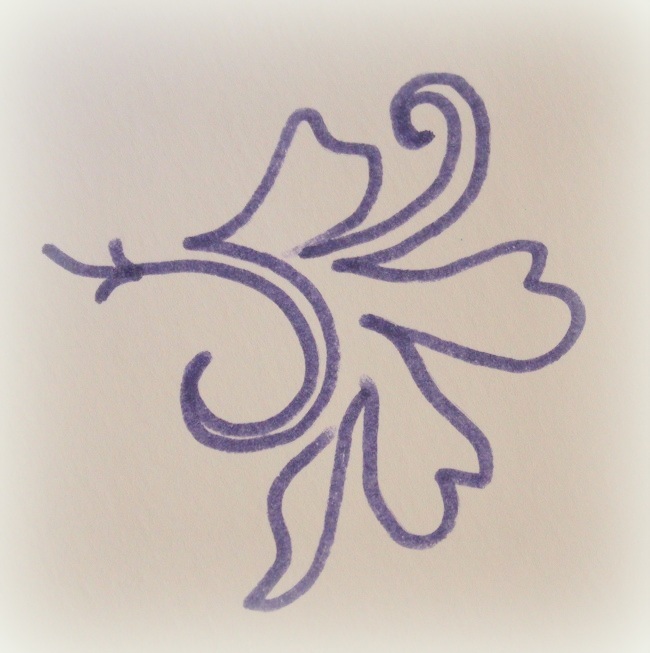 Thanks for sharing and have a wonderful creative day! 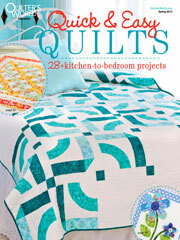 I love the quilting design. Your husband definitely has great taste, they all do when they choose their wives mine is one lucky man lol. Can’t wait to see the front. 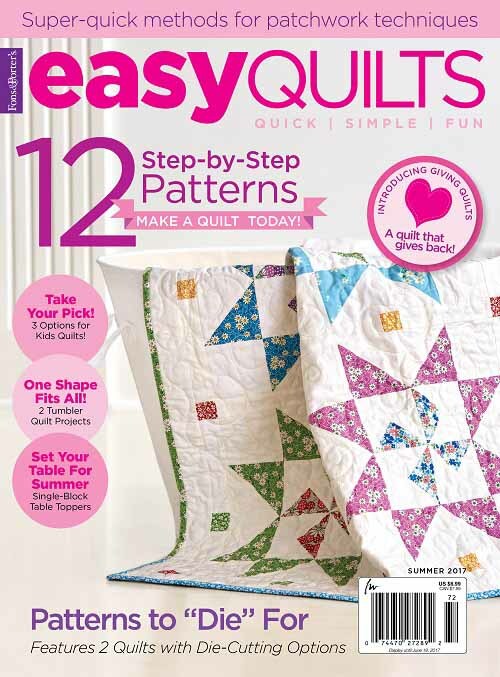 The quilting motif is lovely. Thanks for the “step by step.” Of course your husband has excellent taste……in many areas☺️ Looking forward to seeing the front of this quilt. This is really beautiful Wendy. I could never do it but it is lovely. You do exceptional work on your domestic machine. It is truly a wonderment. Love the design, Wendy! 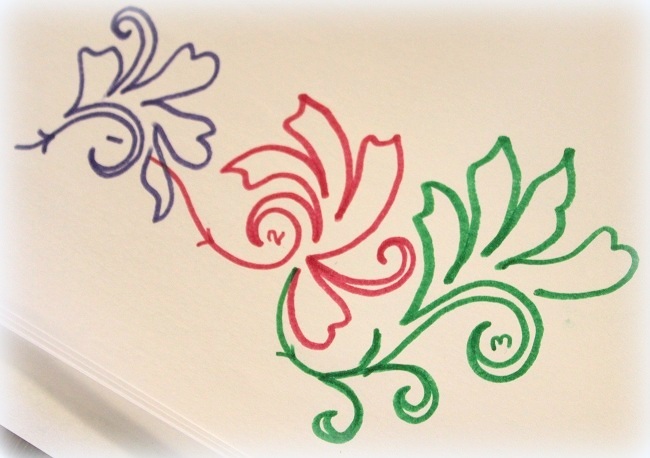 I definitely need to practice this one…it is a great filler! 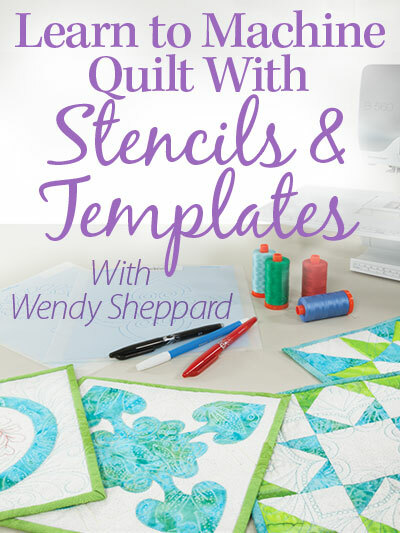 Thank you so much for sharing how to quilt it! Your husband does have good taste–love the step by step. Sure that this will require practice and practice for me. Can’t wait to see the front!! I am sure it will be spectacular! May not have spelled that word right! Love it! Thanks for more great inspiration (and permission to start again if I get stuck in a corner). Great ideas! Thank you. 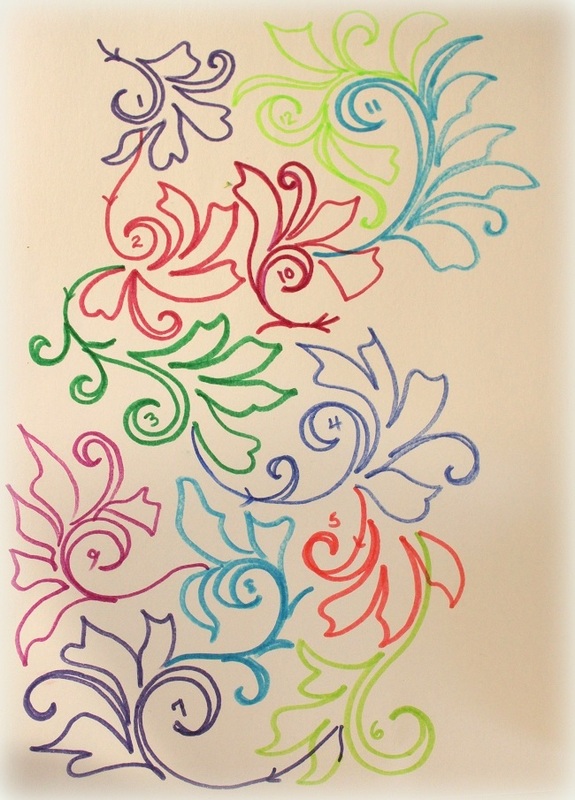 Beautiful FMQ motif and great tutorial. You are so gracious to take the time to share this excellent tutorial. I love it and can’t wait until my morning chores are done so I can draw it out! Well, we’ll just pretend it’s a whole cloth quilt for now and the quilting looks great! 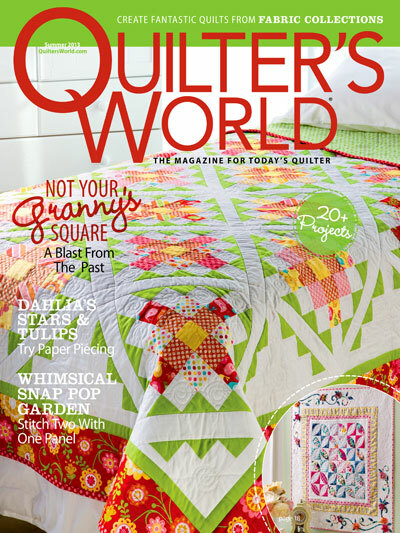 Thanks for sharing the quilting motif! May I use it for my bee? 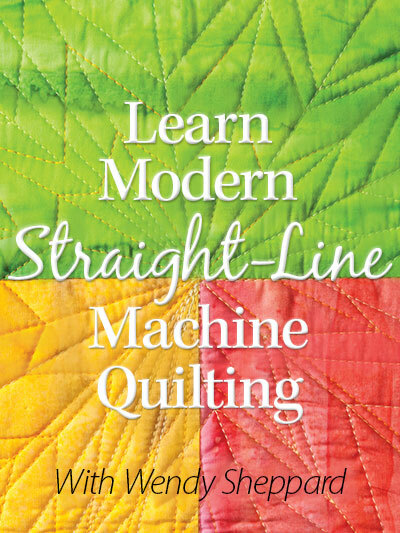 I’m still trying to get them to do a free motion quilting challenge. I think I have more of them interested. 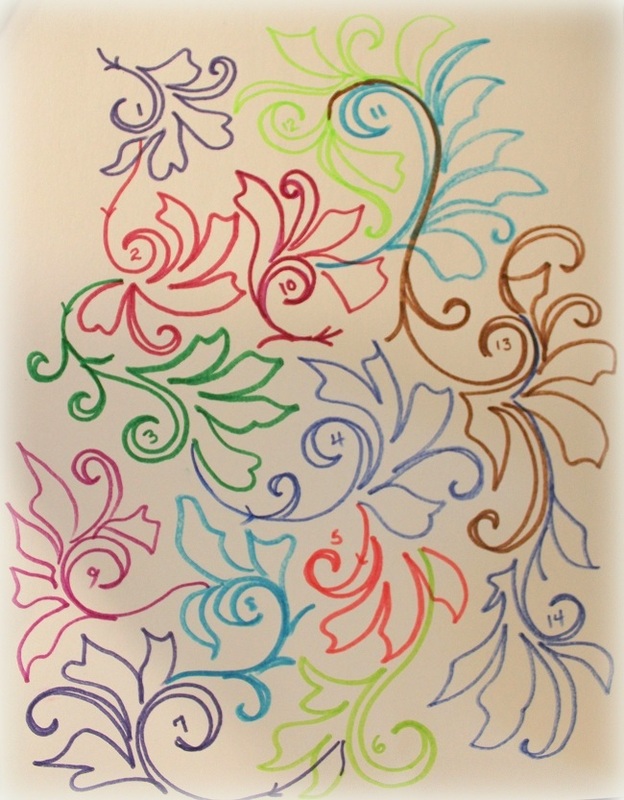 This would make a great motif to use! Hugs! Wendy, Thank you for this quick tutorial. 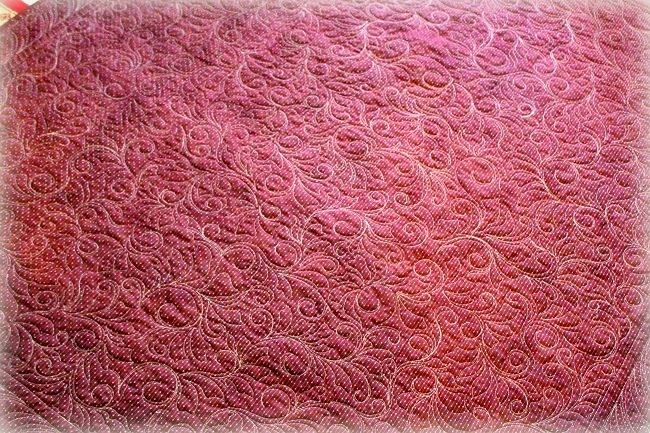 How to move from one area to another is what I have the most difficulty with in free motion quilting. This was very helpful. Thank you very much, merci beaucoup! It’s appreciate! Wow! I am blown away I can really see myself doing that. Can’t wait to start giving it a whirl!